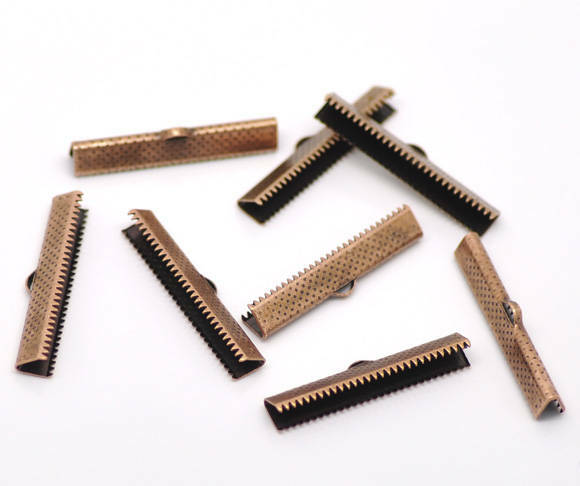 Antique copper plated alloy metal ribbon clamp clasps also known as cord or crimp end clasps with a patterned finish. 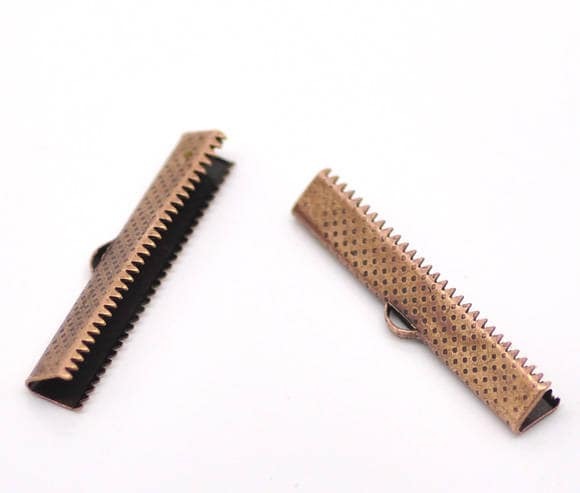 These have a top ring where you can attach a clasp or jump ring and a long row of prongs that clamp easily on hemp, leather or ribbon. 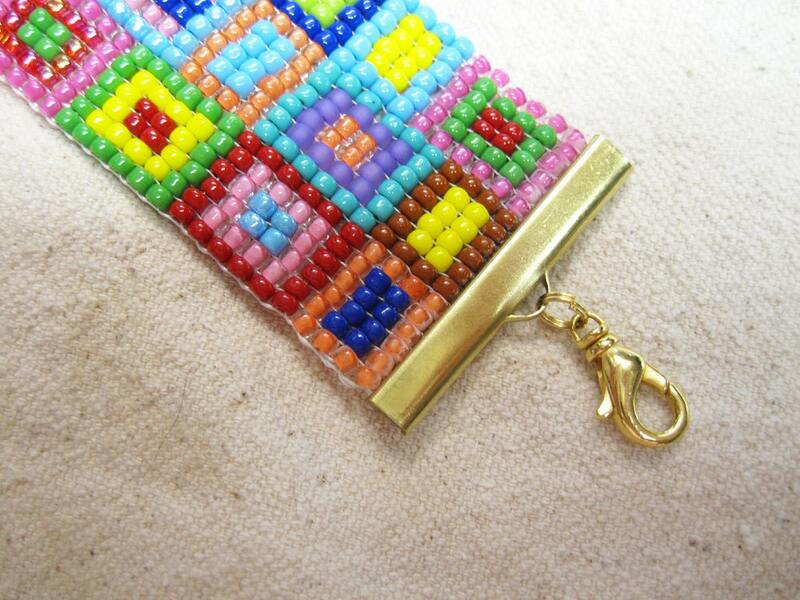 These can also be used successfully on loom work as the end clasp - I use these myself. I recommend using a small amount of glue for extra security. 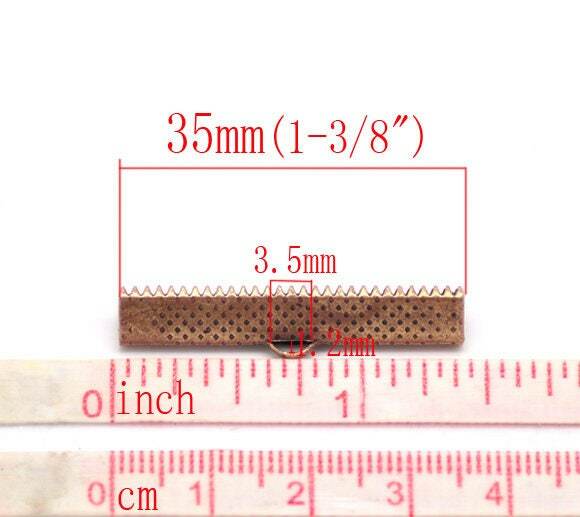 You will receive 10 cord ends (5 sets) measuring 35mm. The second picture shows how this type of ribbon clasp looks on a finished loomed bracelet. Picture shows the clasp in a raw brass color on a finished bracelet so you can see the finished look. exactly as pictured great for bracelets and wide ribbons. prompt delivery. Perfect! Had to do a lot searching for ribbon clamp's of this size and they worked perfectly.